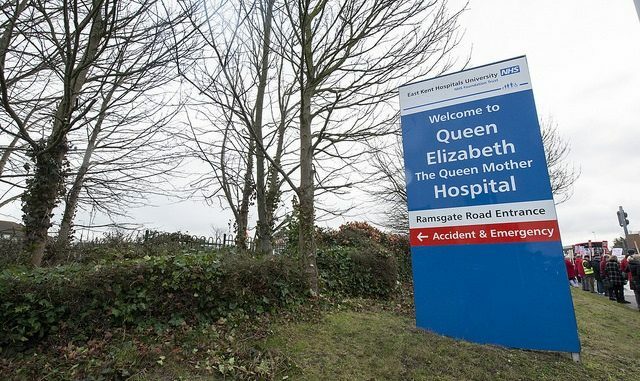 South Thanet MP Craig Mackinlay and County Councillor Karen Constantine are due to meet on Thursday (January 31) to discuss the imminent decision by health chiefs to close QEQM Hospital’s acute stroke service in favour of a hyper-acute unit in Ashford. Hyper acute stroke units have a multi-disciplinary team of specialist stroke clinicians, seven days a week to care for people in the first 72 hours after a stroke. A final decision on the location for three units across Kent & Medway is expected to be backed by the county council health scrutiny committee on February 1 and then confirmed by the Joint Committee of Clinical Commissioning Groups on February 14. The proposed shortlist was announced at the start of last year. The preferred option was then confirmed in September as Darent Valley Hospital, Maidstone Hospital and William Harvey Hospital. Darent Valley will have a 34 bed unit, Maidstone General Hospital will have 38 beds and William Harvey Hospital will have 52 beds. There will also be a two bed outflow at Eastbourne General Hospital. The JCCG say there will be an increase in specialist stroke staff including an estimated 8.8 additional consultants, up to 107 additional nurses and 46 additional physiotherapists and occupational therapists. It expects the hyper-acute units at Darent Valley and Maidstone to go live in March 2020 followed by the William Harvey Hospital in spring 2021. But Thanet campaigners have been fighting the proposals, saying isle lives will be at risk because of the journey times to Ashford which can take more than one hour from Thanet. 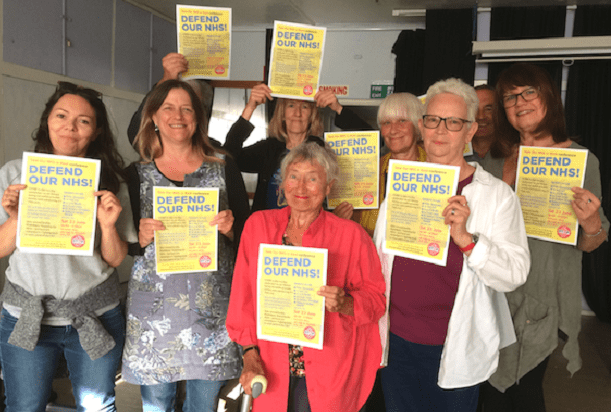 Calls have been made by the Save Our NHS in Kent group for the Kent and Medway NHS to look at the proposals again to include a fourth HASU unit at the QEQM. MP Craig Mackinlay has also called for a fourth unit at QEQM. Cllr Constantine is asking the MP to again raise the issue publicly and in Parliament. Mr Mackinlay said: “I want a four centre option which upgrades QEQM to include a hyper-acute stroke unit for Thanet and this continues to be my preferred outcome. Health ministers and, more importantly, the local NHS managers and clinicians advancing these proposed changes for stroke care are well aware of my longstanding preference as a result of our extensive discussions. The JCCG stroke report says: “Some patients will have to travel further for the urgent aspects of their stroke care, with the maximum journey time being 63 minutes however, consolidating hospital stroke services will save lives and reduce disability. “People from the most deprived quintile will be disproportionally impacted by the proposed changes in terms of travel and access, compared to the general population. However, the positive health impacts from the proposed changes, including improved clinical outcomes, are likely to also be experienced disproportionately by this group due to their higher likelihood to require stroke services. It is planned provide additional funding of £500,000 per year for the ambulance service which will ‘upskill’ paramedics. The report adds that the units will reduce financial deficits in the Kent and Medway service, although a review of those finances will take place. An estimated £1.7m, comprising the costs of re-training the work force, double running, excess travel and agency premium to continue services on those sites set to cease services. An estimated £1.6m costs for agency premium to continue services on those sites set to cease services. A proposed annual £0.5m (full year effect) increase in ambulance costs reflecting the impact of the increase in ambulance mileage. Stroke prevalence across the Kent and Medway CCGs is around the national average of 1.7% but In Thanet has the highest prevalence in the county at 2.1% followed by Canterbury at 1.9%. In Kent and Medway there were 3,146 confirmed strokes in 2016-17 with 372 of those logged in the Thanet area. The stroke services meeting on February 14 will be held at 2pm at the Hilton Hotel, Maidstone. The JCCG meeting will be held in public so that people can attend to hear members discuss the decision-making business case and reach their final decision. Places are limited and it is essential to register in advance at https://kmstroke-jcccg-14feb19.eventbrite.co.uk or by phoning 0300 7906796. SONiK will hold a protest outside the meeting venue from 1pm. Kent and Medway NHS says the new approach to rehabilitation must happen at the same time as the implementation of hyper-acute stroke units. A rehabilitation business case will be presented to CCGs this Spring. Mr Mackinlay has been asked for comment. Yes Barry, he is the biggest traitor to Thanet. About time he went. He promised to go last year but is still hanging on to see his business friends the 3 stooges trick their way with PINS over that DCO. Good on them holding their meeting to decide our fate in the Hilton Hotel at Maidstone, well away from Thanet so they don’t get any objectors turning up protesting against their decision to cut Thanet out of these important health services! All that money wasted could have been better spent running services and recruiting doctors. Just like the Government, these people get paid too much to see that the rest of us live in near poverty and unable to get the services we desperately need. Shame on them. This should be decided by Thanet Doctors in Thanet… not by some looney fringe in Maidstone. What a depressing unequal society our country is. Thanks to the Tories we will be dying in our own beds, far too soon and without the correct treatment. If only Craig Mackinlay would raise this matter in parliament; so far he has had a couple of meetings and written a couple of letters. His heart isn’t in it. He spends his time on other issues like standing up in the house to complain about the allegations of election fraud, which is ridiculous as wrongdoing did occur, and there is no reason why he should get special treatment and not go to court as is the norm if you are a candidate and your campaign overspends. I do not hear many of our County Councillors bemoaning this potential closure and loss to us residents in Thanet, Nor do I hear the protestations of our councillors on Thanet District Council.Once this service is gone it will never come back to the QEQM and then what next,which other services are they looking to relocate they have a try at A&E, whats to say they won’t have another go at closing A&E at the QEQM.